As usually here, this story begins with a ``humble'' ASAS-SN image taken with a 14-cm lens. As we discussed before, the core of our method for transient discovery relies on image subtraction method, where a new image is digitally subtracted from so-called reference image, and only variable sources remain (in practice, there is a lot of false positives like cosmic rays, bad subtractions etc., so our pipeline continually evolves to deal with those). In this discovery image, you can see the reference image in the upper right, and the two most recent subtracted images are right next to it (we always take two back-to-back, offset images, otherwise the number of false positives is out of control). You can also see that there was a possible detection in a much noiser image taken 11 days earlier, and that this field had a seasonal gap because it was towards the Sun. At the time, this case was flagged as ``iffy'', to be looked at again, as centers of galaxies can sometimes subtract poorly. However, real transients usually come back, which also happened in this case, in ASAS-SN images taken three days later. This is when the ``plot thickens''. In this case the position of the ASAS-SN transient is right right on the core of z=0.02058 (distance of 90 megaparsecs) galaxy, which you can see in the SDSS image. That could mean we are seeing some AGN activity, something that is quite common. However, SDSS spectrum of the galaxy does not look like a spectrum of an AGN, but rather like an absorption spectrum of a fairly ordinary galaxy. This is when our APOW image from above comes in: follow-up spectrum of the nuclear region of the host galaxy obtained on Nov. 30th, 2014, with the SNIFS IFU spectrograph mounted on the UH 2.2m telescope shows a broad H-alpha emission feature at the redshift of the host with FHWM of about 9000 km/s and stronger emission at shorter wavelengths. A comparison between the archival spectrum and the follow-up spectrum highlighting this evolution can be seen above. This is where this story gets really exciting. Normal galaxies don't suddenly develop emission lines in their cores, especially if they did not look like an AGN before. We could be seeing a luminous core-collapse supernova, but we are not seeing much star formation in this galaxy, and strong X-ray emission seein using Swift satellite would be very unsual in this case. So we might be seeing another tidal disruption event, even closer that the last one, which would be very unusual, and very exciting. 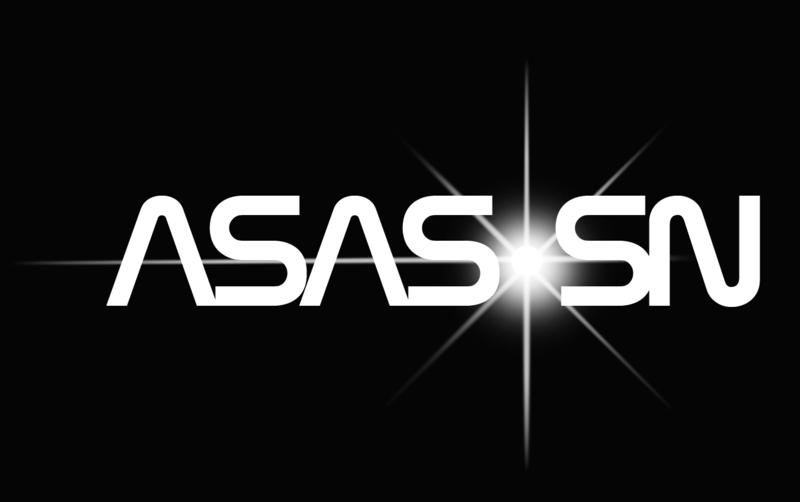 We have no ending for you yet, as this story is very much in progress, but we are taking more data, and we also hear ASASSN-14li is going to be observed by a number of satellites. So stay tuned! Congratulations to Tom and Jacob! Back in Real-Time Discovery Business! Two ASAS-SN Supernovae in One Day! It is Good to be Lucky!